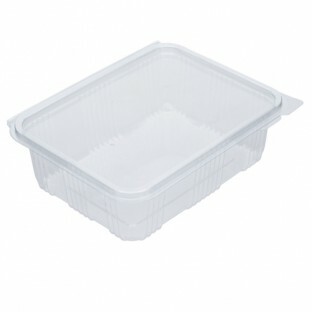 We offer round, oval and rectangular high quality salad containers with hinged lids. As well as a variety of shapes each range offers a full selection of sizes. These high clarity containers are easily stack-able and are suitable for a wide range of cold food products from salads, vegetables and dried fruit to Indian snacks, sweets and cakes.